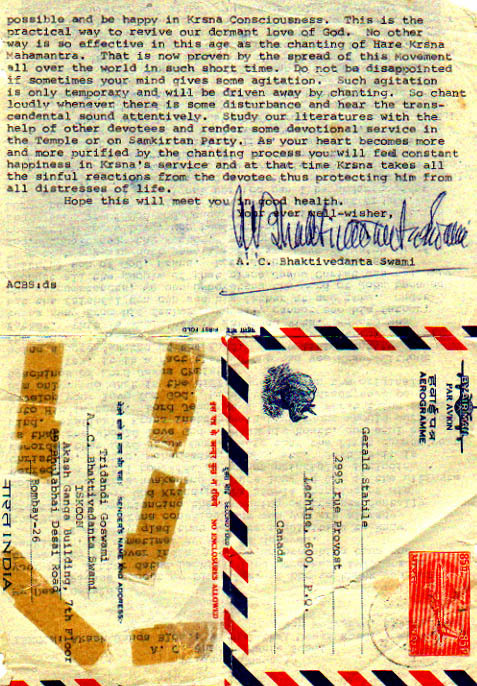 Srila Prabhupada wrote over 7,000 letters through which he preached Krsna consciousness all over the world. 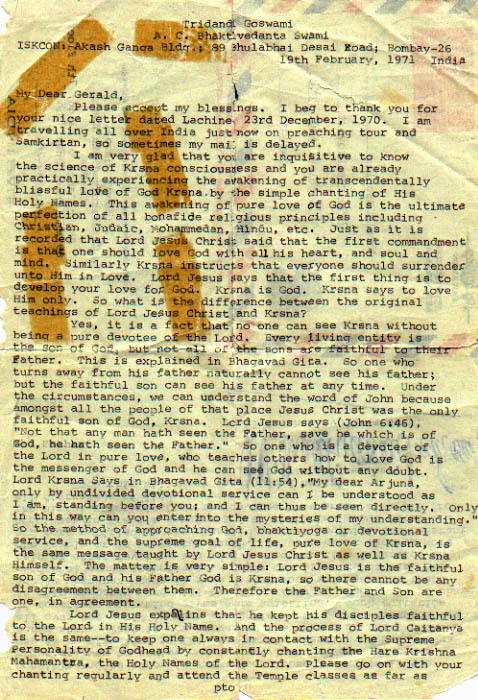 In the above letter to an aspiring devotee in Quebec, Canada, Srila Prabhupada explains that the teachings of Lord Krsna are essentially nondifferent from the teachings of Lord Jesus Christ. It was this non-sectarian spiritual vision that made Prabhupada's message so attractive to people from all different faiths and religions.